I rarely do food related posts because quite frankly I don't really cook. I think living alone has something to do with it...I have no desire to cook just for myself. For me, the dinner bowl of cereal, strawberry jam Uncrustable or takeout does just fine. I keep thinking it is something I will eventually grow out of...maybe? But, I do get the occasional urge to bake and it's pretty hard to resist after seeing all the sweet supplies at Bake It Pretty. 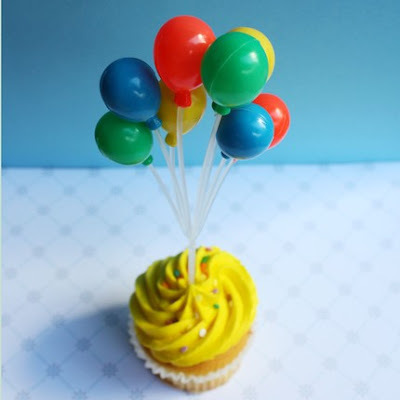 They carry a range of baking supplies perfect for dressing up cupcakes and adding a special touch for any holiday occasion. 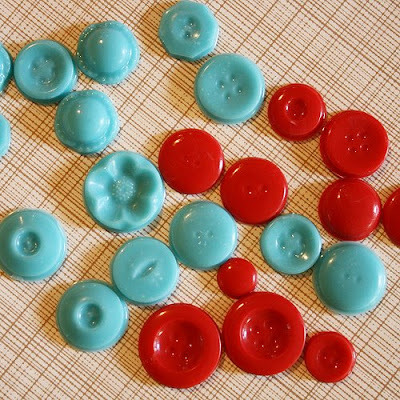 And candy buttons?! Ok...that is too darn cute. Check out more sweet supplies at Bake It Pretty and visit Amanda's blog for baking tips and ideas. deeeeeelish! i'm in my late thirties and still have NO inclination to cook... it might be something in the genes... i can only find strength for making yummy cupcakes like these. this stuff is unbelievably cute! 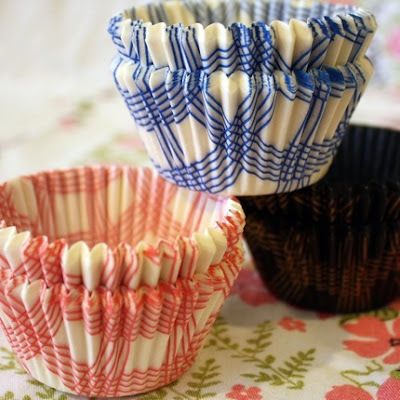 those cupcake liners would make me really, really happy in my baking adventures. and I really wish I had those cheery balloons for birthday cakes. and I just love & want it all! love the polka dots, love the buttons. may actually decide to bake something. Glad you like - and glad I'm not the only one that's not into cooking! What fun! And delightful images. Thanks for starting Friday off with something "sweet"! Happy Weekend Diana. 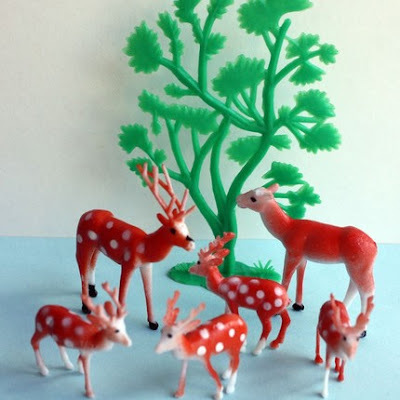 The little deer are adorable! Love the colors and the old fashioned kitschy-ness! Oh, these are wonderful. Makes me wish I baked! (I have friends who do tho). I go in spurts. Right now I could care less about the whole cooking thing. My dinner consists of baked lays and cookies. Ugh, not good! Have a good weekend--maybe you'll be inspired to bake something! I know I would with all these great supplies! oh my, so adorable! have a fabulous weekend, diana!! I would love a cupcake right now!! 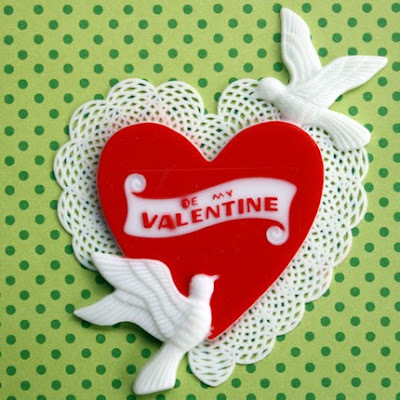 Especially w/that "Be My Valentine" heart. So cute! I don't cook a lot either. That's why I've decided to blog about eating out when we do. I think we eat out more than we eat at home. So much prettiness! I'm a hopeless cook, but I could totally be a professional eater...especially of cupcakes! these things are soooo cute. love it all! Have a happy happy weekend! Now I feel like I don't have a choice - I must make cupcakes this weekend. Great finds! Those are FUN baking supplies... HOWEVER I sooooooo do not like to bake... too much work... I will cook food any day! Although as the years go by... I find cooking period a BIG chores... CHEF PLEASE!!! 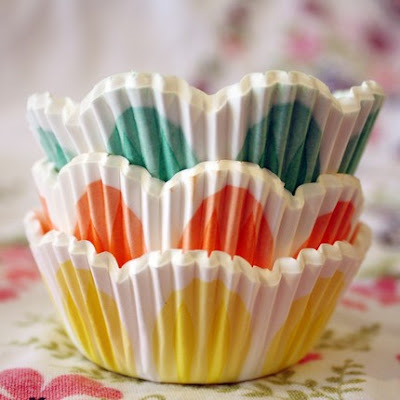 Those cupcake baking cups are too adorable-I love all the bright and fun colors! I actually have them on my list since I've been wanting to bake some muffins, perhaps I will get these! I just don't care about cooking anymore either. But those candy buttons are fun...and the cupcake papers, too. i love it all... and i love how you've put it all together! Oy. Absolutely love these...the top cupcake wrappers are killing me! GREAT commentary on your print discussion, by the way!! I'm soo crazy for those cupcake cups!! super post! super finds! and baking is more fun than cooking! i don't think i would use them they're so cute. have a nice weekend! You struck a nerve here...CLEARLY! And I can see why! I LOOOVE to cook, and bake in particular! I got suckered into the wrappers but, c'mon...GET OUT O' TOWN...CANDY BUTTONS! OMG!!!!! Stop it NOW! So cute! Now I'm hungry. I would love to eat take out every night - lucky you. Happy weekend! Love the cute supplies. I really like the idea of baking but it's the whole cleaning up of the mess that bugs me. And I am very messy in the kitchen. On the rare occasions I venture in there to make something other than coffee. A very happy weekend to you! Must surprise him w/ these cuties & smarty tips. I LOVE these supplies. Makes me wanna bake. i think those vintage-y things are super sweet. and i've never been to that site before! I could totally relate to this post. When I lived alone I ate the exact same things you are for the same reasons. Sometimes I would cook a box of macaroni and cheese :) But I have always loved baking and had no problem whipping up several dozen cookies. These supplies are flat out gorgeous - must have them! Michelle, over at Cicada Daydream, emailed me the link to Bake it Pretty. I love all the cupcake liners. Everything is just so much fun. I know I'll be ordering from there. This makes me want to bake! Thanks for sharing. What delightful adornments and liners. Wow! Thanks so much for the fabulous write-up! You are too kind! These are SOOO cute and adorable! Even though my baking tastes terrible, these accessories would make them somehow taste incredible. love the colors in these... totally like candy! mmmmmmmm, cupcakes how I love thee. I wish they had cute cupcake baking cups when I was a little girl....!